You’ve seen those photographs, you know the ones where rough waters are somehow transformed into a smooth misty fog. As discussed in previous posts we have talked about how using a slower shutter speed can be used to blur fast moving subjects, but depending on the time of day this can be difficult…or can it? It is worth saying that this technique doesn’t necessarily suit every situation. That said, let’s take a look at some different shots. 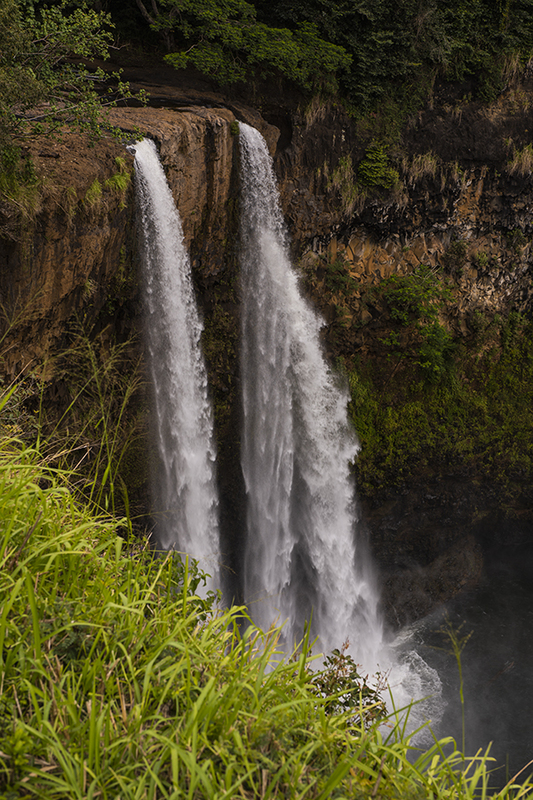 First let’s take a look at Wailua Falls (location used during filming of the TV show Fantasy Island). Both of the photographs were taken at approximately 12:50 p.m. in the afternoon. The first image was taken at ISO 31, 1/125 of a sec at f/8.0 As you can see in the image because of the slower shutter speed there is still some softness in the water but there are still some details. For the second shot the following settings were used in addition to the filter (ISO 31, 30 secs at f/10.0). As you can see in the images, using this filter we’re able to reduce the shutter speed significantly thereby softening details of the water. Let’s take a look at another example. 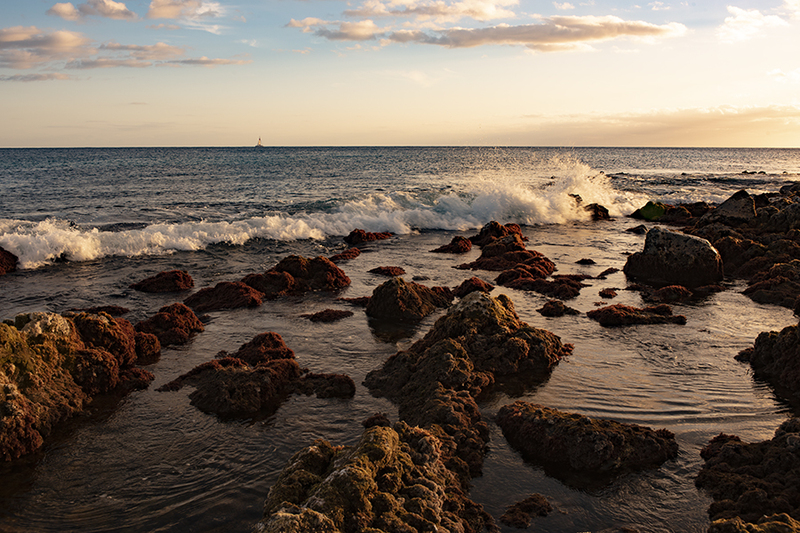 The next location was near Poi’pu Beach on the island’s South Shore. We were on location to do some sunset photography, but arrived a bit early so it was a perfect chance to use the 10 stop filter. Again these images were taken during the same period of time, around 7:20 p.m.. Obviously the waves weren’t exactly the same, however you get the idea. Notice how the waves that were several feet in height are reduced to nothing more than a slight mist around the rocky shore. This relatively inexpensive filter opens up a whole new look for your photographs. A 10 stop Neutral Density filter is almost completely black making in nearly impossible to see through to focus. The best thing to do when using this type of filter is to set your lens (or camera) to Manual focus mode. With the camera on a tripod compose your image in the viewfinder and making sure that you’ve focused the image. 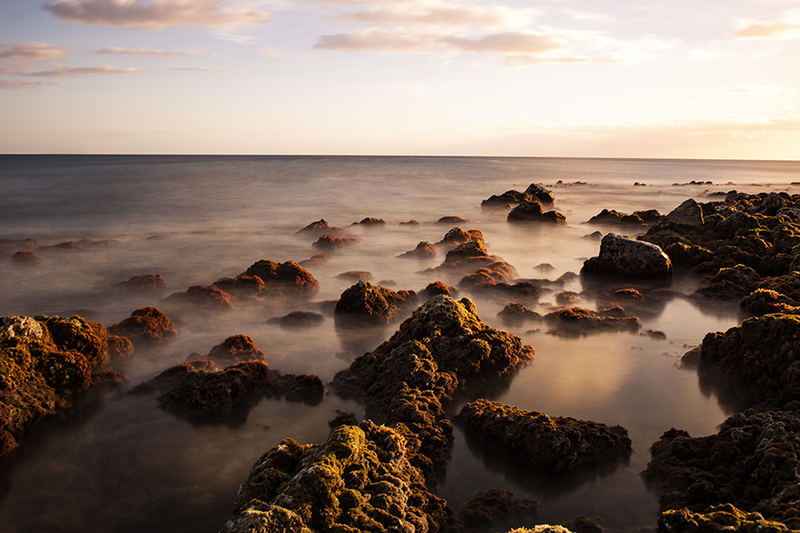 Determine your shutter speed and aperture for proper exposure without the filter. Using a 10 stop filter calculator determine your new shutter speed to be used with the filter and set your camera to that setting. Because you’re going to be shooting at very long shutter speed there are another thing to pay attention to in order to reduce unwanted blurring, activating the shutter. 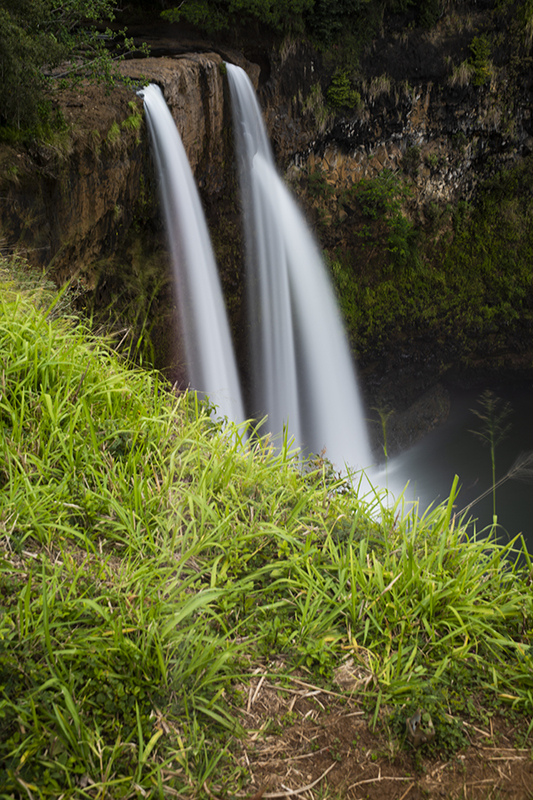 When shooting long exposures at a minimum you should use the self-timer to actuate the shutter. A better option is to use a shutter release cable or wireless shutter release. To further reduce any potential movement, if your camera has it, you can use what’s called the Mirror Up or Mup mode in conjunction with your shutter release. The first press of the button locks the mirror up. It isn’t until you press the button again that the shutter activates, thereby limiting any vibrations from the shutter. So that pretty much wraps it up. For a small cost you too can be out there taming those raging waters and creating some cool effects in your photos. Thanks for checking us out and hope you continue to follow us here.